There are so many difficulties existing in the cross-border business of pharmaceutical and medical device, such as uninformed cross-border market, limited resources, asymmetric information and so on. As a global leading pharmaceutical & medical device B2B online platform, Ddu, with an integrated system including over 100,000 companies and offers over 1,000,000 products, overcomes these barriers and improves the cross-border business by the displays of products, sourcing requests, agent intents, etc. 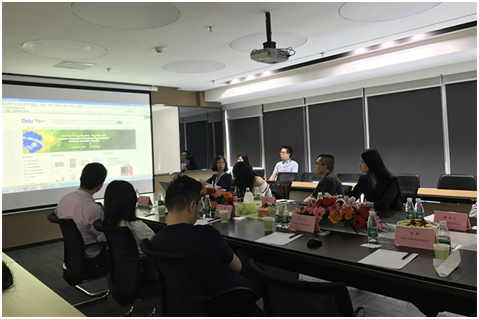 During the meeting, Terry Yuan expressed his gratitude for the users’ support and trust. He also detailed the features and services of the new version of the website. Compared with the old version, the new one has a new design layout with more comprehensive and upgraded functions. For example, there is a new service. The buyer could receive a quotation as long as he posts a sourcing request. Taking the first quarter operating report as the example, Terry Yuan analyzed the future perspectives in terms of facts and data. The exposure of the website has been improved because of Arab Health in Dubai and KIMES in Korea, with month-on-month growth of 62% for PV (page view) and year-on-year growth of 84% for UV (visitor volume). In the future , Ddu will continue to improve user experiences and target to create a one-stop medical trade platform. Terry Yuan also revealed that the credit verification service will be launched, which can help to solve the credit problem and build a more secure on-line transaction environment. It is reported that the Ddu will assess the credit condition of enterprises from four aspects: online text review, on-site audit, data usage, risk assessment. Basic commercial information will also be shown on the website. Buyers are allowed to search suppliers on the basis of authenticated company information. Enterprises with Ddu’s authentication markings will get higher search engine rankings. Moreover, the credit verification service particularly provides the logistics tracking service. If the buyers select this option, Ddu will inspect the relevant goods from suppliers and provide relevant report avoid the risks of online transactions. “We are in talks with global well-known certification companies like SGS, TUV, Dun & Bradstreet, Sinosure, etc. The credit verification serviceis set to be launched in June”, said Terry Yuan. Ddu hopes to better leverage the B2B online platform to help users control the risk of medical cross-border trade transactions. 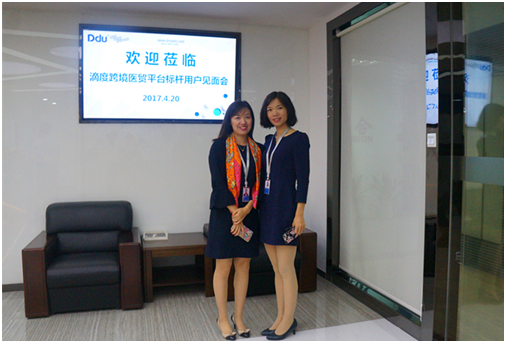 It is reported that high-priority members will together with Ddu to attend CMEF in Shanghai and Hospitalar 2017 in St. Paul in May. Ddu will come up with an online & offline promotion service. All sourcing requests and agent intents from CMEF and Hospitalar are shown together via online website and offline live screen simultaneously. Any buyer or suppliers could release sourcing requests or post quotations by scanning QR code or searching ID. 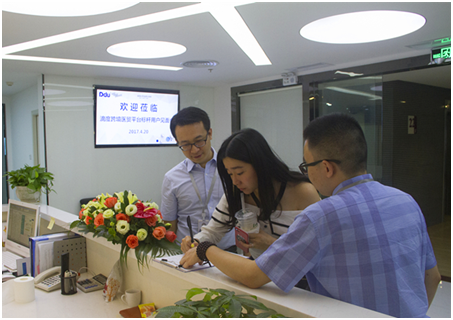 The user from Chengdu Kanghua Biological Products Co.,Ltd said it was the first time to participate in the offline activity of the platform. The professional and circumspect service impressed him so much. “The global promotion of Ddu is considerate. I’m looking forward to the Brazil & Shanghai exhibition”, he said. He also expressed a desire to more and better services as well as activities. This is a successful face-to-face communication meeting for Ddu and its high priority members. More meetings and activities will be held in Shenzhen, Shanghai, Hangzhou, etc.